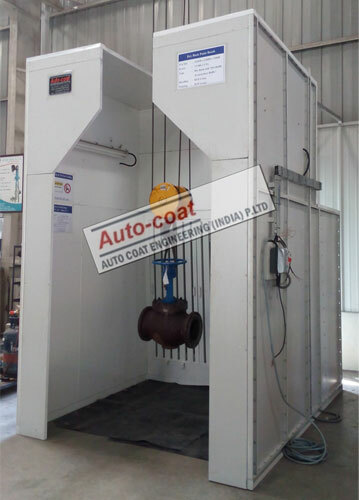 Autocoat has designed & developed new series of Dry Back Paint Booth with amazingly low running cost of replacement of filters as well as to meet Pollution norms. Costly replacement of filters is a big hurdle in Indian industries & management do not like costly filter purchase every month & lot of competitors paint booth lies idle or forced to use with poor performance. The DRY BACK SPRAY PAINT BOOTH is also called as Low Cost Spray Booth since they are cheaper than compared with Water Type Paint Booth. 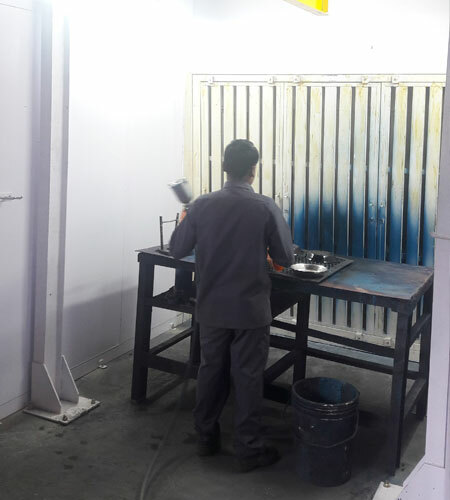 These kinds of booths are more popular in painting application with low paint consumption (around 20 ltrs/shift) as well as in laboratory and research and development. As mentioned above Autocoat designed DRY BACK SPRAY BOOTHS are designed with cleanable & removable type metal baffles which arrest most of the paint overspray, thus leaving behind clear and less smoky air towards the exhauster. 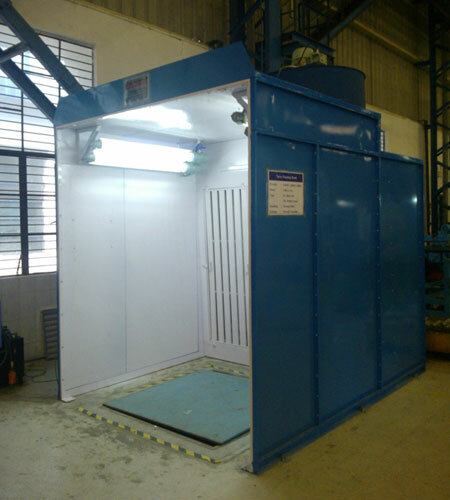 The main advantage in the Metallic Baffled Dry Back Paint Booth is that it can be cleaned by usual cleaning methods and reused as before and also reduces the maintenance cost & reduces filter replacement cost amazingly. The main disadvantage in the coarse filter Dry Back Paint Booth (by competitors) is that filters cannot be cleaned by usual cleaning methods and reused as before since the filters are to replaced as soon as they are chocked with paint particulate after which no air can passed through & thus heavy filter replacement cost. 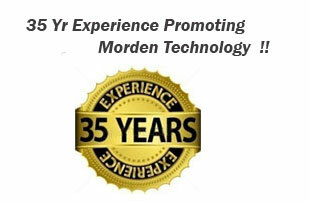 Specialty Metal Baffle design insures filter replacement cost at Amazingly low. 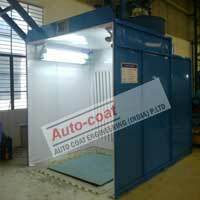 In short correctly designed & installed Autocoat Spray Booth fulfils. Will help to reduce recurring cost Amazingly low. 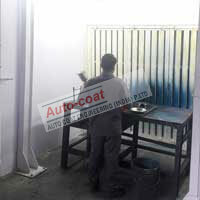 Autocoat Engineering is the most experienced Dry Paint booth Manufacturer in India since last 35 years. 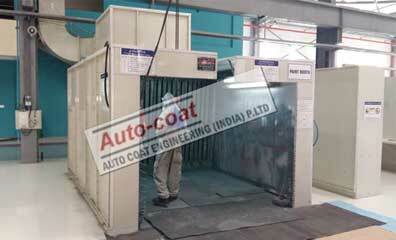 Autocoat Engineering have been manufacturing superior quality Dry Back Paint booth in India among other valuable products .We have wide experience of manufacturing Dry paint booth with different material handling and different product size , and different production volume.